We are proud to announce that RogueKiller V13, that we’ve been working on hardly for the past year, has been released for public beta ! Almost everything is new. We’ve redone the user interface for a cleaner experience. When launching the new RogueKiller version, you can choose between the quick scan and the standard scan (custom scan is not available yet). At the end of the scan, results are displayed in a new widget with more information, and clickable threat links (that open a description page on our website). Sounds Awesome, can I try it? Yes. We have a public BETA program going on, so please feel free to download the soft and try it. What about my license? Will it continue to work? Yes. All our licenses are working no matter the version, they only care about the purchased period. If you bought RogueKiller V12 for 1 year, it will continue to work up to 365 days after the purchase, even with V13. 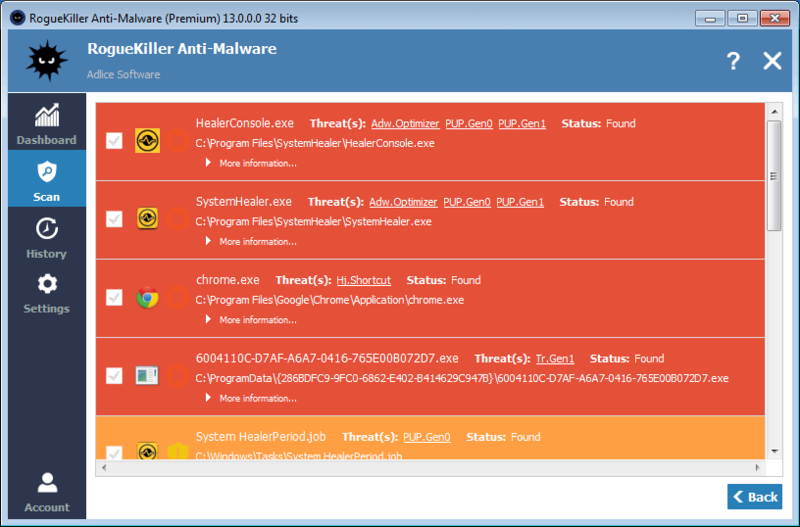 If you missed the download link for RogueKiller V13, it’s here. If you have any feedback, as usual please contact the support.